It’s been 3 weeks since my last post (apologies) but this week I finally have exciting news to impart. Two new shows are set to open at the weekend, one at The Hodgson Loom Gallery and one at Isle Contemporary. The show at The Hodgson Loom opens first on Saturday, ‘Africa’, with work by artists Pat Kelly and Janice Cottier. Not only do we have the promise of a ‘riot of pattern and colour’ but we should also see the unveiling of the redesigned space in the Woollen Mills. I’m very much looking forward to seeing it. The new show at Isle Contemporary (formerly the Isle Gallery) also promises to be a ‘must see’ show with work by Grenaby based artist, Graham Rider, which opens on Sunday at 2pm. Since Graham relocated to the island a couple of years ago he has been inspired by our coastlines, his stunning beach pictures evocative of sunny summer days and memories of childhood picnics. Bruno Cavellec has been pursuing his passion for producing book and album covers with the publication of Graham Hamer’s new book, Jasmine’s Journey (The French Collection). Here’s the ‘blurb’ as Graham calls it! The last Manx Wearable Arts show at the Youth Arts Centre was fabulous fun. It’s only every two years so make sure you go along on 29th March as it’s not to be missed! Talking art and fashion, UCM art student Cara Bregazzi was scouted by a London Modelling Agency last November whilst on an educational student trip and these images have recently been published in prestigious magazine ‘Heroine’, spring summer edition. Cara will also be featured in the magazine ‘Hero’ in the coming months with photo’s taken by ex UCM Art student Daniyel ‘Ducky’ Lowden, now a professional London based fashion photographer. Cara is taking a gap year on completion of her extended diploma in June to explore a professional modelling career before university. She has several other model castings in her diary already, and is a talented fashion stylist and photographer herself. Well done Cara! Gary Myers and Juan Moore are both busy working for Clever Unicorn Games at the moment. 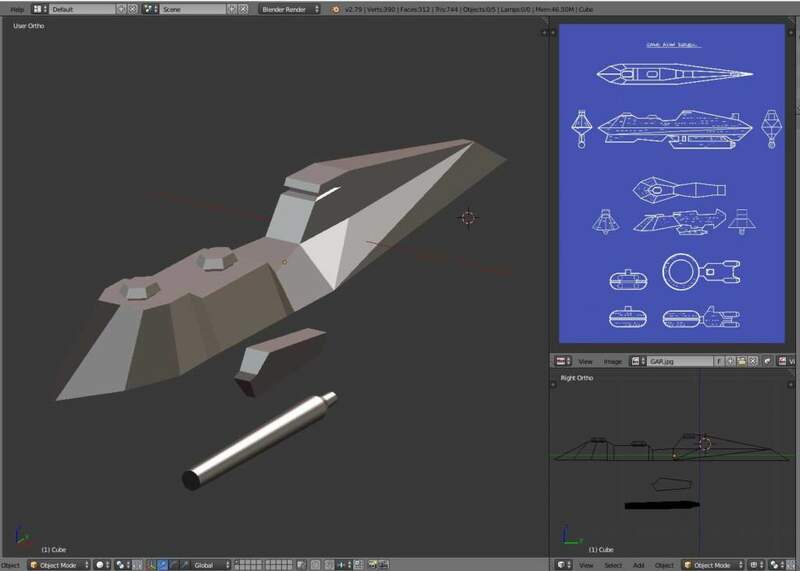 Gary is making spaceships for their upcoming board game ‘Fractured Galaxy’. The models will be 3d printed as board game counters. 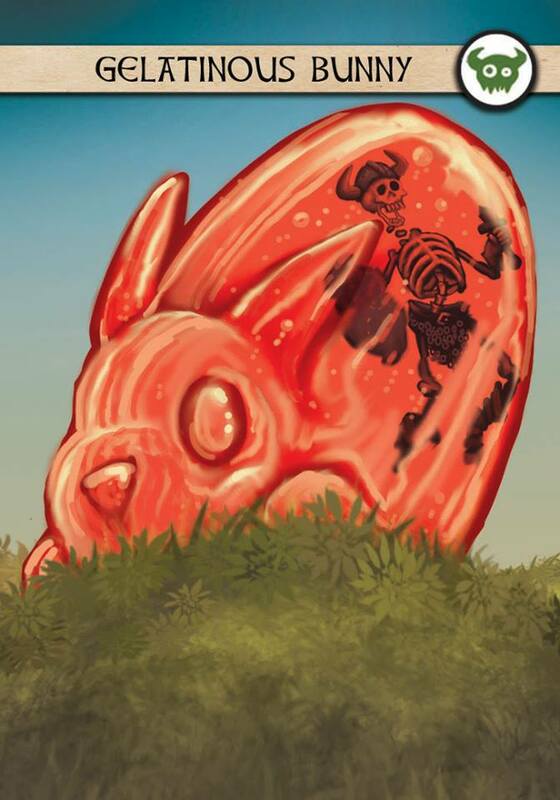 Juan has posted up a ‘Gelatinous Bunny’…… hmmm! It’s great to see local artists getting wider recognition for their work, so congratulations to Vici Blackburn whose gorgoeus papier mache bowls featured in a recent edition of World of Interiors. If you fancy one for yourself there is a rather lovely collection at Grenaby. It’s mother’s day soon too so a very good reason to be paying them a visit this week! I’ve changed the opening time of the preview at The Engine House on 2nd May from 7pm to 6.30pm so that people who might prefer to come straight from work can pop in before heading home or off for something to eat. If you’d like an email invite to the future previews at The Engine House please send me an email to jane@eng.im with ‘Invite Me’ in the subject line and I will add you to our guest list. That’s it for the next couple of weeks. If you’d like to get the news delivered to your inbox so you don’t miss it now that’s it’s not every week just fill in the form in the sidebar.